If You Live Local We Can Fit These Tyres For An Extra £10.00 Per Tyre When You Buy 2 Tyres -. ( PRODUCT OF NEXEN ). 215 65 R16 98 H. IV, HS, KA27-28, KW, PA20-49, PA60-78, PH17- 26, PH30-44, PH49-50, ZE. NEXEN NFera SU1 XL. NEXENS PREMIUM TYRE. TYRE TREAD. MIDDLE TREAD. INNER TREAD. OUTER TREAD. THIS ADVERT IS FOR A PAIR. NORTHERN IRELAND, ISLE OF MAN, ISLE OF WIGHT ETC. NEXEN NFERA RU1 XL. TYRE TREAD. NORTHERN IRELAND, ISLE OF MAN, ISLE OF WIGHT ETC. NEXEN NFERA RU1. TYRE TREAD. MIDDLE TREAD. INNER TREAD. OUTER TREAD. THIS ADVERT IS FOR A PAIR. NORTHERN IRELAND, ISLE OF MAN, ISLE OF WIGHT ETC. 275 40 ZR 20 106 Y X 4. IV, HS, KA27-28, KW, PA20-49, PA60-78, PH17- 26, PH30-44, PH49-50, ZE. A - Rated Wet Grip. EXTRA LOAD MID RANGE. FAST FITTING SERVICE AVAILABLE. When Collected In Person We Can Fit These 4 Tyres For An Extra £30.00. NEXEN NFERA RU1 XL. NORTHERN IRELAND, ISLE OF MAN, ISLE OF WIGHT ETC. OUTER TREAD. RIM PROTECTOR TYRES. 255 55 ZR18 109 W EXTRA LOAD. A RATED WET GRIP. A RATED TRACTION. IV, HS, KA27-28, KW, PA20-49, PA60-78, PH17- 26, PH30-44, PH49-50, ZE. 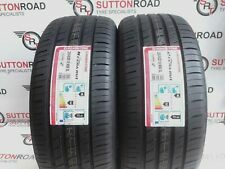 2x Nexen Roadian HT SUV 225/75 R16 104S. Photos are of the item for sale. 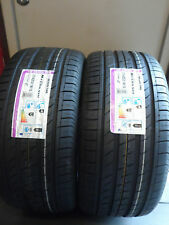 235/45 R19 Nexen Nfera RU1 SUV 95W. Tyre Tread Depth (mm) No Puncture Repair. - Visual inspection upon arrival at our warehouse in the UK. Ref: 46 29. All our tyres are tested and puncture repaired (if required) by qualified and fully trained technicians. LOW NOISE TYRES 68dB. When Collected In Person We Can Fit These 4 Tyres For An Extra £30.00. 225 45 ZR19 96 W. IV, HS, KA27-28, KW, PA20-49, PA60-78, PH17- 26, PH30-44, PH49-50, ZE. FAST FITTING SERVICE AVAILABLE. 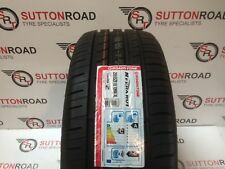 Nexen Roadian HTX RH5 235/70 R15 103S M S.
THIS TYRE IS EVENLY WORN ACROSS THE TREAD. INNER TREAD. MIDDLE TREAD. OUTER TREAD. TYRE TREAD. THIS ADVERT IS FOR A SINGLE TYRE. NORTHERN IRELAND, ISLE OF MAN, ISLE OF WIGHT ETC. HS1-9 IV21 ZE1-3. Nexen N'Fera RU1 215/60 R17 96H. New Arrivals. Our garage supplies and fits quality new and part worn tyres. New Tyres Online! We Believe You Will Not Find Better Value. Ending Soon. 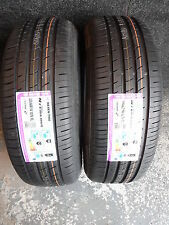 2x Nexen N'Fera RU1 225/65 R18 103V. NEXEN NFERA SU1 XL. 275 40 20 X 4. NORTHERN IRELAND, ISLE OF MAN, ISLE OF WIGHT ETC. OUTER TREAD. (WILDONESTYRES TEAM). BEST REGARDS . 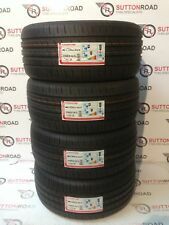 TYRE TREAD: The tyre tread in UK limit 1.6mm. 235 50 R 19 99V Nexen NFera RU1 SUV 4-5mm C522. MANUFACTURER : Nexen. Full fitting of tyres. TYRE WIDTH : 235. TREAD DEPTH : 4-5mm. Extra £19.99 Northern Ireland, Scottish Islands, Highlands and all other Islands off the mainland, Republic of Ireland and Channel Islands. 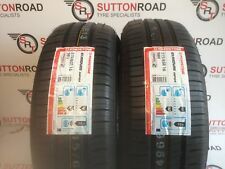 Nexen Roadian HTX RH5 255/65 R16 109H M S.
Tyre Fitting. Tyre Information. UK Tyre Law. Winter Tyres. Useful Links. Related Tyres. Nexen N'Fera RU1 275/45 ZR20 110Y XL. Nexen Roadian HT SUV 235/70 R17 108S XL, M S.
2x Nexen Roadian HTX RH5 265/70 R17 115T M S.
Nexen N'Fera RU1 215/60 R16 99H. 235 50 R 19 99V Nexen NFera RU1 SUV 4-5mm C530. MANUFACTURER : Nexen. Full fitting of tyres. TYRE WIDTH : 235. TREAD DEPTH : 4-5mm. Extra £19.99 Northern Ireland, Scottish Islands, Highlands and all other Islands off the mainland, Republic of Ireland and Channel Islands. Nexen Roadian HT SUV 245/70 R16 107S. Nexen Roadian HT SUV 245/60 R18 104H. 4X Nexen Roadian HT SUV 265/70 R15 110S. Nexen Roadian HT SUV 255/70 R18 112S.